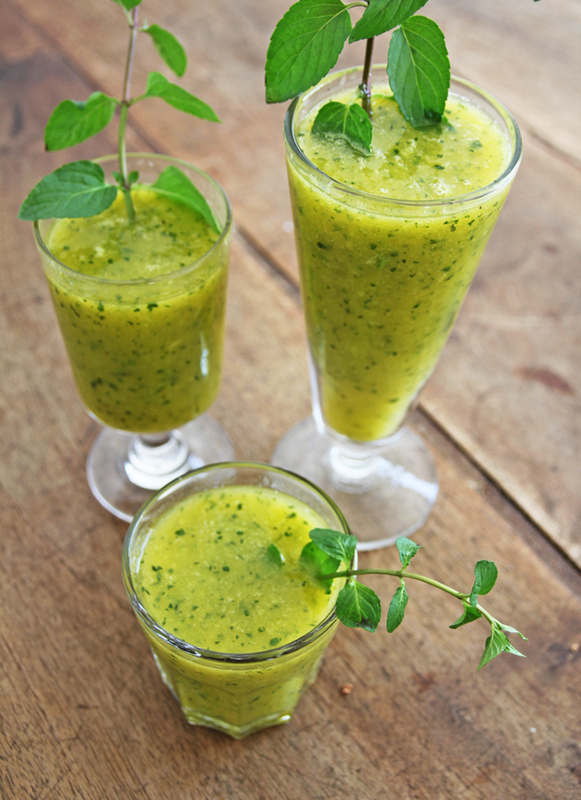 Herb juice sounds kinda funky...'til you remember that herbs are amongst the most powerful natural healers on earth. For such tiny, spriggy little things - these super herbs pack a seriously strong nutritional punch and are delicious to boot. Just remember to start slow when you begin juicing herbs. They may be tiny, but they can also be some of the strongest things you ever juice so start with small amounts and juice your way up. Basil is a go-to herb to blend with if you're struggling with skin conditions like acne or psoriasis as it has antimicrobial, antifungal, antiviral, and anti-inflammatory properties. ​It's also a seriously rich source of vitamins, with ample amounts of vitamins A, C, K and B vitamins. Cayenne's claim to fame lies in its capsaicin content, which helps your body rid itself of toxins and free radicals, helps your body's ability to produce insulin, promotes better blood circulation, and even helps suppress appetite. Cilantro is yet another herb helpful for controlling blood sugar levels and boosting your body's ability to produce insulin. 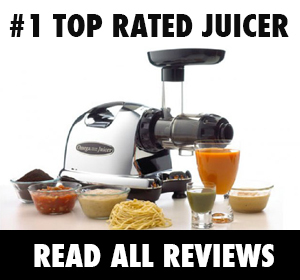 It's also packed with anti-oxidants, has anti-bacterial properties so potent it's been shown to fend off Salmonella. You can't exactly juice cinnamon...but you can sprinkle it atop your juices. And you'll want to do just that since this spicy herb helps your body fend off bad cholesterol and has potent anti-fungal properties that can fight various type of fungi, including the Candida strain which causes yeast infections. To top it off - cinnamon has also been shown to protect brain health, promote digestion and weight loss, and even ease the effects of PMS. Dill is rich in vitamins A and C, but it's also loaded with essential minerals like iron, magnesium, manganese, and is one of the richest herb sources of calcium. 'Though not as rich in vitamins and minerals as the other herbs, fennel offers a range of unique health benefits like fighting strep throat, boosting the production of hemoglobin in the body (good for anemics), and relieving indigestion by promoting digestive juices in the stomach. Fennel is also notable for its ability to stimulate more breast milk in nursing moms and for an essential oil found in fennel which helps rejuvenate tired eye cells. Even among these healthy herbs, ginger is a SUPER herb. Thanks to a compound called gingerol, ginger is highly effective in soothing upset stomach, fighting off viral infections, easing inflammation (even arthritis), and promoting better circulation. Ginger's even been shown to inhibit the growth and development of cancer cells - that's how powerful this herb is. Lemongrass is an ideal herb for those with anemia, as its a rich source of iron. Its also a natural diuretic that helps the body gently detoxify itself of toxins and heavy metals. This herb both increases saliva production and helps improve digestion in the gastrointestinal tract so your body can absorb maximum nutrients from food. Mint is probably the most popular herb - and for good reason. This breath-freshening herb soothes nausea and indigestion and does a great job of alleviating cold and flu symptoms. But mint has some powerful benefits as well - mint leaves have been found to prevent the growth of cancer cells as well as to boost the body's resiliency against allergies. Nutmeg juice is not something you across in your local market, but this nutty spice can take a juice recipe to a new world. Wait, but why bother? Well, for a herb, nutmeg's pretty high in fat but it's also seriously rich in protein, dietary fiber, and a load of essential minerals like magnesium, manganese, copper, phosphorous, and zinc. Parsley is a mean, green super herb loaded with vitamins - just 100g has 168% of your daily requirement of vitamin A, 222% of vitamin C, 2050% of vitamin K, and a cool 38% of folate. This herb is also rich in iron, calcium, and other valuable minerals. As you can tell from its rich green color, parsley is also full of chlorophyll which is a natural chelate, helping to bind to and remove toxins and heavy metals from your body as well as to reduce body odor. Purslane is a calming herb with phytochemicals that help your body fight off the stress hormone, cortisol. Its also been found to contain 10 to 20 times more melatonin - an antioxidant that regulates sleep and menstrual cycles and may inhibit cancer growth - than any other herb or vegetable. Purslane is also notable for the fact that it is the richest source of omega-3 fatty acids of any green, leafy vegetable. Rosemary is a nutrition-laden herb that's popularly known to prevent and reverse hair loss. But its health benefits extend far past the hair - this herb is known to boost the immune system, promote better digestion, and prevent excess gas. Rosemary also has unique antioxidants that keep the brain healthy as well as compounds that promote the release of endorphins in the brain. Tarragon is a de-stressing, appetite-boosting herb. 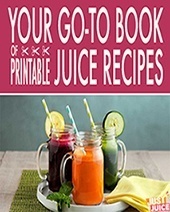 It's known to have phytochemicals that signal hunger in the brain and is a helpful herb to juice for children or older people who often do not have an appetite. Its high calcium content also makes it ideal for people of all ages. Tarragon is also a very nutritious herb, with just 100g containing 84% of your daily requirement for vitamin A, 83% for vitamin C, 114% for calcium, 179% for iron, 79% for riboflavin, 120% for vitamin B6, 87% for magnesium, and 398% for manganese. Turmeric is one of our hands down favorite herbs - it has an intense flavor and a nutrition profile to match. Just 100g of this herb provides 230% of your daily requirement for iron, 43% of vitamin C, 18% of calcium, 90% of vitamin B6, 392% of manganese, and 48% of magnesium. This is a go-to herb for people with stomach issues like ulcer and heartburn since turmeric helps regulate gastric acid in the stomach. Turmeric's also known to "heat" up the body and speed weight loss. 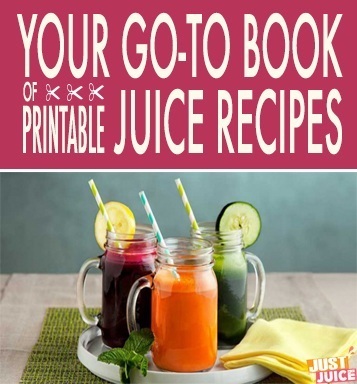 Want a free book of healthy juice rECIPES?